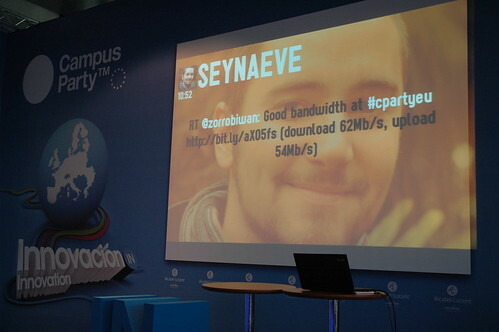 TweetWall Pro - Campus Party Europe: here we are ! Campus Party Europe: here we are ! As said in the previous blog post, the first step in the discovering path for TweetWall Pro is a stay in Madrid during the Campus Party Europe event. During these three days, we'll have the opportunity to present it and to show it to a lot of interesting and interested (geeks) people.